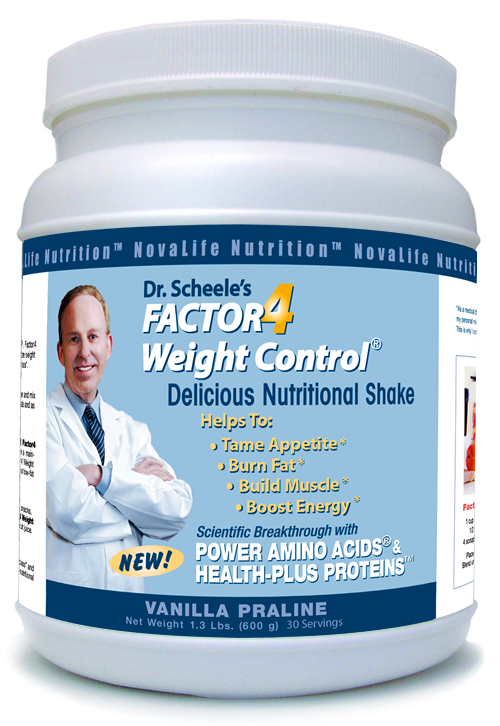 Welcome to Factor4 Weight Control®. As NovaLife is dedicated to improving world health, please know that we are here to help you achieve your personal goals in weight control and metabolic health. 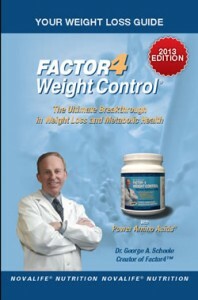 When you take Factor4 Weight Control® your metabolic health will improve. You will experience a significant increase in energy, often doubled. You will sleep better at night and feel better during the day. Everyone who has excess body weight will see their weight reduced as a function of time and quantity of Factor4. Yes, based on the results of more than 4,000 customers, Factor4 works in all individuals who follow the directions and take at least 2 shakes or smoothies per day and better 3 to 4 shakes a day. The more Factor4 that you take on a daily basis according to number of scoops and number of shakes, the more you will feel the beneficial effects of Factor4. WHEN WILL I SEE WEIGHT LOSS RESULTS? 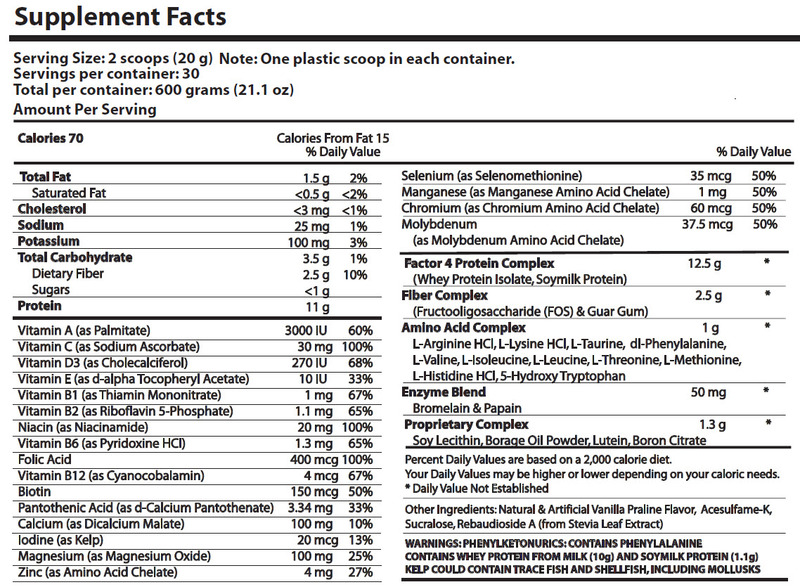 Factor4 begins to improve metabolic health immediately. However, the time of onset of weight loss according to the weight scale varies with your base-line health status. If your metabolic health has been compromised by former dieting efforts, like skipping meals or extreme diets, this limitation might delay by several weeks the onset of your weight loss success for the following reasons. When confronted with poor metabolic health, Factor4 must first restore body health to normal. During this priming period Factor4 must restore muscle tissue to its normal state. During this healing process your increase in muscle tissue may even exceed your decrease in body fat, which will lead to a modest weight gain, e.g. an increase of several pounds as muscle weighs more than fat. When priming is necessary, the length of the priming period varies according to the health needs of your body. 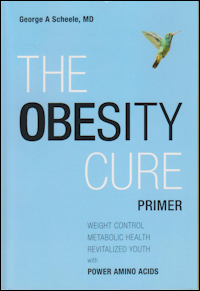 Depending upon your stage of metabolic health, the priming period may last for a week or two. In extreme cases it may last for up to 4 to 8 weeks. Fortunately, the duration of the priming period may be reduced by increasing the intake of Factor4 Weight Control®. During the priming period the body weight measured by the weight scale has little or no meaning as the scale cannot distinguish between body fat and body muscle. “Body Composition Analysis” would allow you to monitor body fat and muscle independently from one another, but body composition analysis machines are expensive, measured in thousands of dollars, and therefore hard to find. This is why we recommend, in the beginning, that you avoid the weight scale in favor of looking in the mirror to assess the healthy appearance of your face, shoulders and body. When muscle tissue replaces fat tissue the body changes shape and develops a healthy appearance. You can also monitor the success of the priming period by noting how well you feel, how well you sleep and how well your clothes begin to fit. From the vantage point of controlling expectations, it is important that you understand the reasons behind the “Priming Period” as discussed here. You may expect to start losing weight with Factor4 during the first week or two. Should you see an initial modest weight gain, you should not be concerned. It simply means that your muscle tissue has been compromised and needs to be restored to normal health before the scale weight begins to decline. Once the priming period passes you will be in a position to lose as much body weight as you desire. Please note that Dr. Scheele and the Factor4 medical team are available to schedule a FREE consultation when you need help in navigating through the priming period of weight loss health or when you have further questions about the weight loss experience. Should you need help please send an e-mail to support@factor4health.com. We have an excellent record in helping our loyal customers achieve their weight loss goals. “Recipes for Factor4 Shakes and Smoothies” will help you minimize caloric intake without suffering from cravings and hunger. This approach serves to accelerate your weight loss health. “Monitoring Success with Factor4 Weight Control®” provides pointers on how you may monitor success during your weight-loss experience. 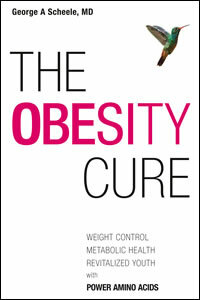 “Ensure Weight Loss Success” provides additional tips on how you may ensure weight loss success. “How much Factor4 Should You Take?” recommends quantities of Factor4 according to your body size and gender. “Avoid Sugar-Rich Foods” provides information on the quantities of sugar and carbs in individual foods sold in grocery stores. This information will help you avoid foods enriched in sugar and carbohydrates that could significantly retard your weight loss efforts. Disclaimer: This product is not meant to diagnose, treat, cure, or prevent any disease by the use of pharmaceutical drugs. As a dietary supplement, with all natural ingredients, considered to be “generally regarded as safe” (GRAS), Factor4 is intended only to improve health and wellness in the organs and tissues throughout the body. Comments and notations, derived from testimonials and limited human studies, have not been evaluated by the FDA. All results stated in this white paper and on our website(s) are actual results from real customers or individuals included in our clinical trials. Individual results may vary depending on personal goals and use.